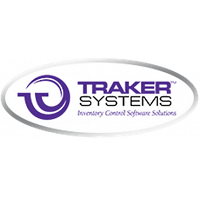 Founded in 1992, Traker Systems specializes in inventory control software solutions for distributors, public warehouses and manufacturers. The company is headquartered in California. With more than 20 years of warehousing and software development experience, Traker Systems designs and services state-of-the art inventory management software. Traker’s third-party logistics (3PL) software, Inventory Traker, is a warehousing industry leader. 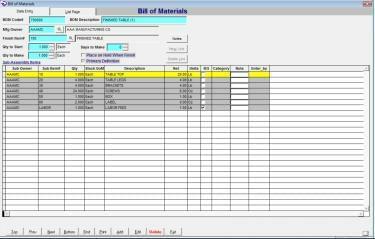 This 3PL software is powerful and user-friendly. Its robust search features make it a breeze for customer and product look-up. It handles all inventory, shipping and billing demands. Interwest Transportation utilizes Traker’s inventory management software. Their Operations Manager, Trevor Wallberg, says that the software is user-friendly and that the company has experienced minimal challenges with its use. When they do need to work with support, Mr. Wallberg comments positively on Traker’s support staff, saying that they are excellent and that they quickly implement solutions. Another happy Traker customer is Harris Information Technology Systems. They purchased the Asset Traker and Inventory Traker modules. Harris says that the company is pleased with the expertise provided by Traker during the transition and implementation, and that Traker provided the best support possible, ensuring a smooth transition. Inventory Traker is a powerful tool that increases productivity, profitability and efficiency. The web access module allows for easy access and retrieval from Traker’s 3PL WMS software. Learn everything you need to know about Inventory Traker for 3PL. Our experts will reach out to you shortly.